Each year when November rolls around we find ourselves taking an extra moment to pause and reflect on all it is that we’re grateful for. It’s a time to give thanks for good food, great company and the best ginger beer around. Earn the title of “favorite friend” at this year’s Friendsgiving feast when you show up with one of these delectable desserts and a pack of Barritt’s Ginger Beer, of course. We'd be lying if we said we think it's a coincidence that National Drink a Beer Day landed on a Friday. To us it appears to be the perfect excuse to take off of work early and make a run to the nearest happy hour to raise a glass in its honor and celebrate. But before you reach for your typical brew on September 28, do yourself a favor and grab a Barritt's Ginger Beer to try out one of these beer-infused recipes instead. After all, a "pitcher" perfect weekend begins and ends with a ginger beer in hand. When your feet hit the sand and the ocean breeze blows through your hair, it's impossible not to have a permanent smile plastered across your face. With the arrival of summer vacation comes endless opportunities to hit the beach for a day of sand, sun and our personal favorite, snacks. You see while some may have sunscreen and a towel at the top of their must-haves list, serve us a ginger beer cocktail alongside some beach day bites and we're set for some fun in the sun. Below you'll find our beach day essentials in the form of simple, healthy, on the go recipes which just so happen to pair perfectly with our favorite shake and take cocktails. The temps are finally rising, beaches are filling up and patio parties are no longer a thing of the past, which can only mean that summer is finally here. With summer's arrival comes longer days, making for happier happy hours. The earlier the sun rises and the later it sets results in more time after work to gather your crew for an outdoor soirée. In celebration of sunny days that are here to stay, we're sharing some of our favorite cocktail recipes to accompany you on all of your summer adventures. You've got the bandanas and flash tattoos packed, alongside the perfectly curated outfits you've been planning for months... but before you head out to spend the weekend at your favorite festival don't forget the most important accessory of them all, Barritt's Ginger Beer. Regardless of the music genre you're a fan of, we can all agree that cocktails are a festival season favorite and these refreshing sips are sure to become a staple in your lineup. College graduation season is upon us. It's a time to celebrate all of your accomplishments over the last four (or maybe more) years and live it up before you have to hit the ground running in the so-called "real world." Here's to the late night study sessions, the roommates who turned into best friends, the "Freshman 15" you're still attempting to lose and the endless memories made along the way. Once you walk across that stage, accept your diploma and finally turn your tassel to the left, raise a glass with these celebratory cocktails. Today we're raising a glass to our favorite holiday of the year -- National Moscow Mule Day. 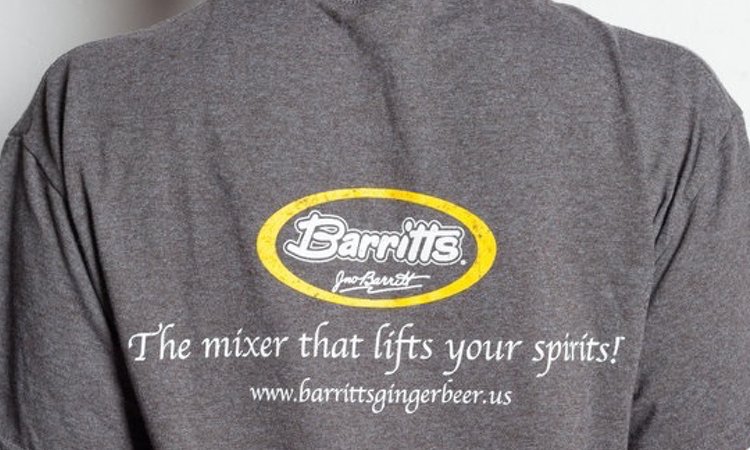 Since 1874, Barritt's Ginger Beer has been the go-to mixer for a number of drinks, but when this beloved cocktail made its way into inception in 1941, Barritt's took on a whole new purpose in bars across the globe. The truth is, we've never met a Moscow Mule we didn't like, but with so many different flavor combinations... can you blame us? As the winter months drag on and the snow continues to fall, it's no question your restlessness increases with each passing day. Peak cabin fever season is here and will likely stick around for a little bit longer. And while you may be ready for spring to arrive, there's something that's both comforting and relaxing about knowing you're snowed in for the day with nowhere to go. While January is known on average as being one of winter's most brutal months in the Northern Hemisphere, truthfully Northerners know it's really just the beginning. And though some may consider ginger beer to be more of a go-to for their summertime sips, we're here to tell you that no matter the season nor the weather it brings, nothing beats a Barritt's cocktail. Each year we raise a toast on December 31 and welcome the new year along with a new set of resolutions to become the best version of ourselves. At the top of everyone's list each year is a resolution that reads something along the lines of "lose weight," "get fit" or "slim down." With these goals in mind, it may be your first instinct to cut back or cut out cocktails completely... but that doesn't have to be the case.